petition: Keep U.S. Veteran and Green Card Holder Miguel Perez in the US! Keep U.S. Veteran and Green Card Holder Miguel Perez in the US! Miguel Perez, Jr. is a U.S. Army veteran who's served two tours of duty in Afghanistan. He has two children. And he's a permanent resident of the United States, who thought he became a citizen when he joined the military and took an oath to protect this country. But Miguel has also just finished a recent prison term for a non-violent drug offense — something that occurred only after he developed PTSD during his service. 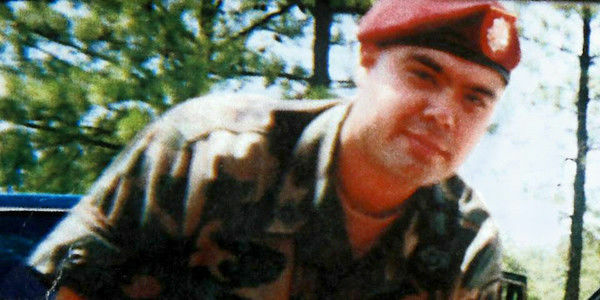 Like many veterans, Miguel fell into self-medicating with drugs and alcohol and wound up being convicted of a drug-related infraction. Now, as a result, Miguel's life is in danger. Because of his conviction, the U.S. Government is planning to deport him to Mexico — a country he and his family left behind when he was just an 8-year-old kid. Because of his background, this could be particularly dangerous for him. Drug cartels in Mexico often hone in on veterans and former drug users, forcing them to work on the cartel's behalf or face the violent consequences. He has now been in custody at a detention center for a year, and his situation is not looking hopeful. The 7th U.S. Circuit Court of Appeals has rejected his plea to remain in this country. In his desperation, he's started a hunger strike, saying he'd "rather leave this world in the country I gave my heart for" than be deported to a place where he fears certain death. Let's be clear: Miguel is an American. He may only have a green card, but he's lived here for almost his entire life. He has endured terrible sacrifices for this country and heroically defended our homeland. He must NOT be deported. He is one of us and we must protect him!